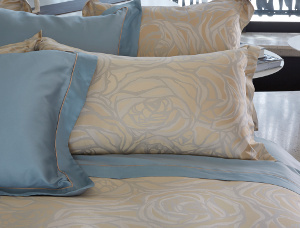 The Roseto collection reinterprets the classic rose motif with a contemporary style. Thanks to its classic and modern blend, this collection coordinates with any type of decor. 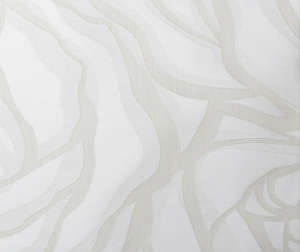 Yarn-dyed jacquard 500 thread count, entirely woven in Italy. 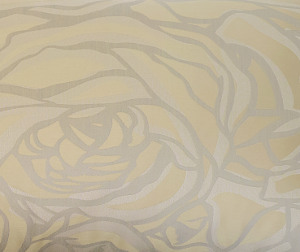 The elegant Roseto with a classic rose motif is a yarn-dyed jacquard woven in Italy. 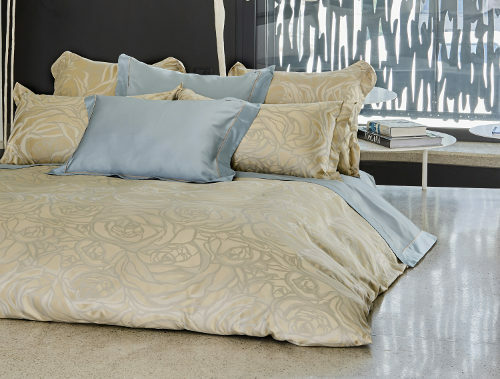 100% Egyptian Combed Cotton Sateen 500TC. The duvet all-over jacquard reverses to solid sateen. 100% Egyptian Combed Cotton Sateen 500TC. Shams in all-over jacquard reverses to jacquard with simple hem.